Emotions, rather than simply being the result of random or disordered biochemical processes, are adaptive mechanisms that are often overly relied upon as a function of basic learning processes. 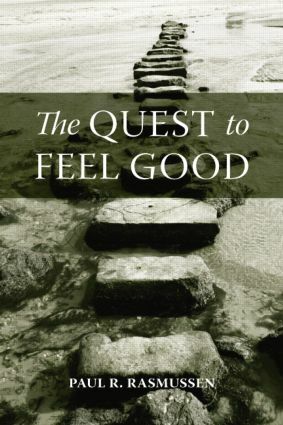 The Quest to Feel Good helps the reader understand that negative emotions serve a critical adaptive purpose that functions in relation to one’s ultimate desire for a felt-positive state. Paul Rasmussen addresses the role of emotions as adaptive components, in combination with cognitive and behavioral processes, to our overall orchestration of life. To this end, the therapist is directed to use a client’s negative affect as a means of guiding critical therapeutic conclusions and decisions. Rasmussen emphasizes an integration of the basic premises of Adlerian psychology with the evolutionary-imperative model presented by Theodore Millon (1990, 1999). This integration is used to explain the primacy of emotions in the manifestation of most clinical conditions. This critical integration and focus makes the volume important, necessary, and unique to mental health professionals. Case examples and illustrations are also offered throughout the text.